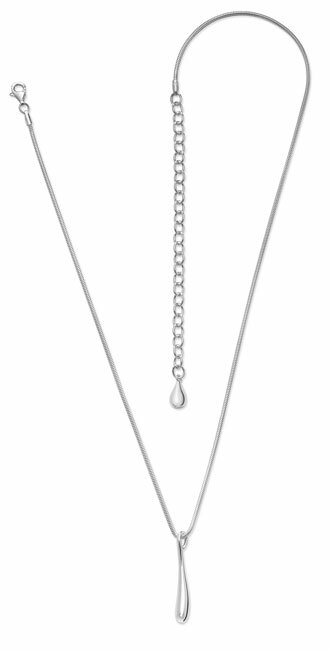 This beautiful Single Drop Pendant from the Drop Collection will look great with jeans and a t-shirt or with a dress for the evening. 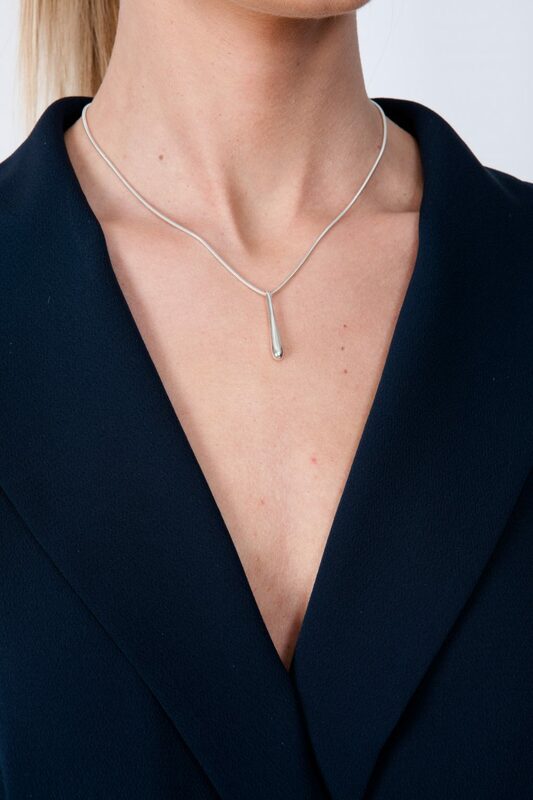 One single solid Sterling Silver drop flowing from a Sterling Silver snake chain. Lobster claw fastening and a 4″ extender chain. Length 16-20 inches. Pendant size 3cm.